In this Sunday of the Blind Man, Fr. Andrew tells us that in Paul's journeys he demonstrates True Spiritual Vision. Fr. Richard explains that the blind man Jesus healed did not just go from physical blindness to physical sight, but also from spiritual blindness to spiritual sight. On this Sunday, Fr. 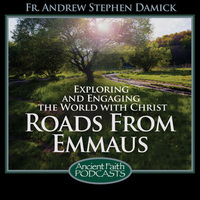 Andrew tells us that we may be spiritually blind to the Light of the World.